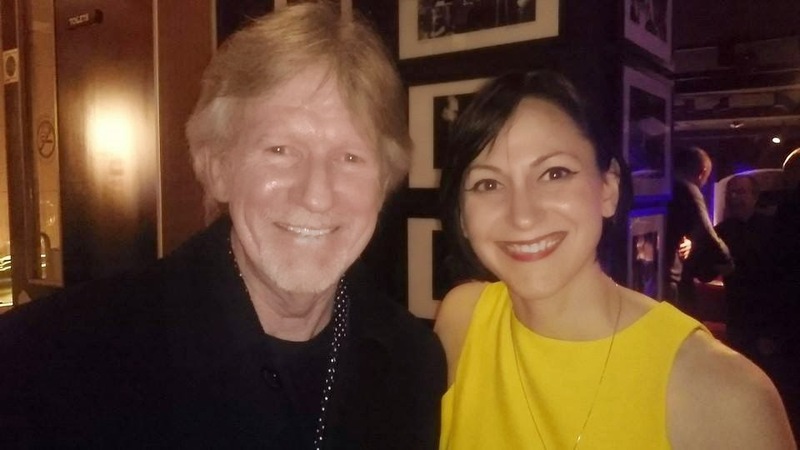 The collaboration of distinguished pianist, composer and arranger Alan Broadbent, with singer and lyricist Georgia Mancio stepped into new territory last night. During this show, their third appearance as a duo, they launched the first results of their songwriting partnership, which has been a going concern since July. The Pizza Express Jazz Club in Dean Street was virtually full – quite a feat as it was just the third night after the vast London Jazz Festival had come to and end. Broadbent admits that as a song composer perhaps he was probably “born way after my time.” So what this venture does, rather than breaking new ground, is to explore, extend and build on the tradition of the American songbook. In their first venture, Georgia Mancio put new lyrics to Broadbent's tune The Long Goodbye, which was on the Charlie Haden Quartet West 1991 album Haunted Heart, tempting fate by entitling it The Last Goodbye. As one critic wrote of that album, “Haden nicely paid tribute to the past without being held hostage to it,” and that spirit was very much alive in another Broadbent tune, Heart’s Desire, with words by Dave Frishberg. This tune in a gorgeous slow ballad rendition, takes the chromatic tension one ratchet further than a Richard Rodgers or a Harry Warren tune would, giving echoes of a later writer like Johnny Mandel, whose work Broadbent knows well, having worked with him in the studios of Los Angeles. After the interval came two original compositions separated by a solo piano performance from Broadbent. Hide Me From The Moonlight, a mystically romantic original number was incredibly well received by the audience, which bodes well for the Broadbent/ Mancio collaboration. That kind of approbation will have encouraged and emboldened them for their work to come. Broadbent’s solo interlude came in the form of two favourites of his: Borodin’s Strangers In Paradise and Baubles, Bangles and Beads. As he said: “it’s always a new experience. I just close my eyes and go for it”. And that he certainly did. Simply stunning and majestic. The evening was completed with one of their favourite songs, Johnny Mercer and Hoagy Carmichael’s Skylark. After an expertly dissonant introduction, it flowed into a sumptuous glow. Perhaps the masterpiece of the whole evening, it displayed both the delicate perfection of Broadbent’s accompanying craft, Mancio's unfailing ability to shape a long phrase. There is some early, quiet talk of an album, which is good news, as these new songs definitely deserve to be heard. It was a real treat to have seen this duo again at the Pizza Express, i very much enjoyed the gig, & it was a pleasure to see such a respectful audience too!. I was lucky to be there too and the solo in Hide Me From The Moonlight made this old heart miss a beat and bring a tear to the eye. I think the collaboration between these two great writers will make the standards of the future.